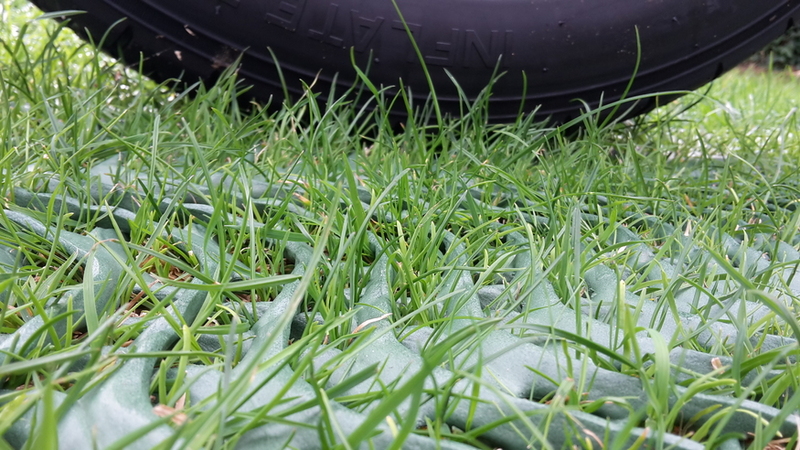 Protection for grass from car traffic, pedestrian traffic, muddy areas and worn lawns caused by dogs or the children. GrassProtecta grass reinforcement mesh is fixed to the grass using steel upins and quickly the grass through the plastic aperture making the mesh disappear from view leaving a natural grass surface that can by / cut / mown as normal. 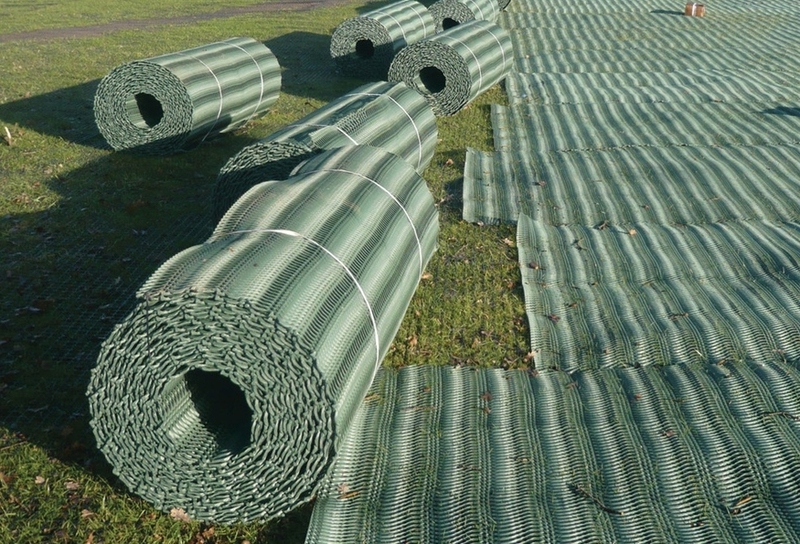 Within just a few weeks when the grass is growing at its quickest, there will be no visible evidence of the plastic mesh every being installed - just a reinforced and protecting grass surface that will be suitable to withstand cards and frequent traffic. We suggest that a pack of out 50 u-pins should be used to fix this product to the ground. 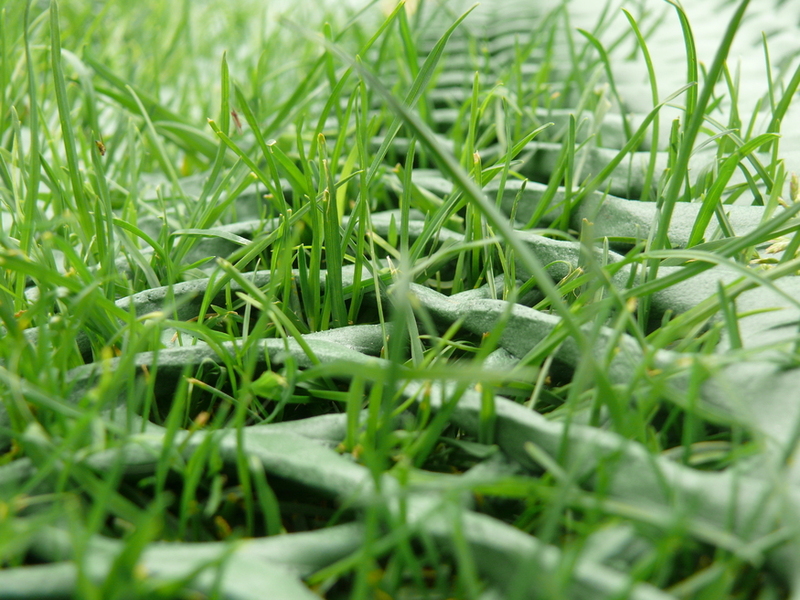 The mesh and grass roots link together creating a strong interlock which protects the roots from damaged caused by load bearing. 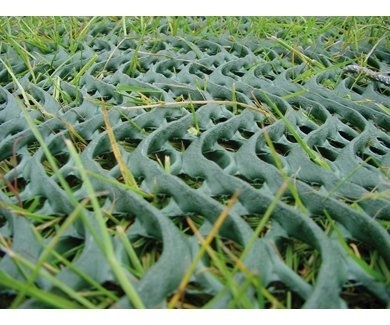 Where can Grass Reinforcement Mesh be used? If your grass area has poor drainage, this product may provide the results it is design to, until the drainage is improved. With water-logged grass, the weight of vehicles and cars can cause "pumping" where soil and sediment is pumped to the surface creating a muddy surface. Please call us for further information.